Lawn Care Program: From weed control to lawn fertilization, we’ll keep your grass looking healthy and attractive. Our environmentally conscious program will also keep your conscience clear. 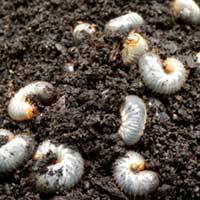 Perimeter Pest Control: Keep the creatures out of your house by creating a defensive barrier around it. Our methods don’t pose a threat to your or your family. 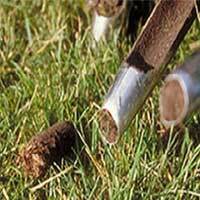 Additional Services: We also help with grub control, plant and soil diagnosis, lawn aeration, and disease control. 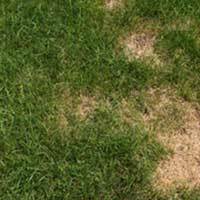 These targeted services will alleviate whatever problems your yard is facing. Grow It Green – Naturally has been family owned and operated since 1962. During the years, we’ve repeatedly proven our dedication to bettering the community, one yard at a time. While we want to give you lush, green grass and healthy plants, our aim is to do so without negatively impacting the area we all call home. We only use lake safe fertilizer, among other environmentally friendly measures. You’ll love the results, and will feel good about helping to preserve the natural resources that surround us. If you are already an existing customer we would love to hear from you. Tell us what you think about our service by writing us a review. Lawn Care is our passion. Grow It Green is the leading lawn service and lawn care company; specializing in lawn fertilization, weed control and pest control. Professional lawn care service gives you more time to enjoy your beautiful, pest-free lawn.